Look for your next Alumni Trip? Vacation in Ireland with your Alumni group and discover the Emerald Isle like never before! Celtic Footstep arrange study tours and academic programmes on any aspect of Irish life. We have unrivaled experience of arranging academic and/or cultural seminars in the areas of Theatre, Literature, Ancient Customs & Traditions, Gaelic Culture, Irish Music and Dance, Politics, Celtic Spirituality, Christian Heritage, Northern Ireland, Peace and Conflict Studies and the 1916 Rising. Our study tours are customized to meet your requirements. Whether you want to explore the depths of Trinity College, the history of University College Cork or hear from the experts at the National University of Ireland Galway - your academic trip to Ireland will ensure you meet the locals, experience the true Ireland and have the most memorable trip to Ireland with your alumni group. 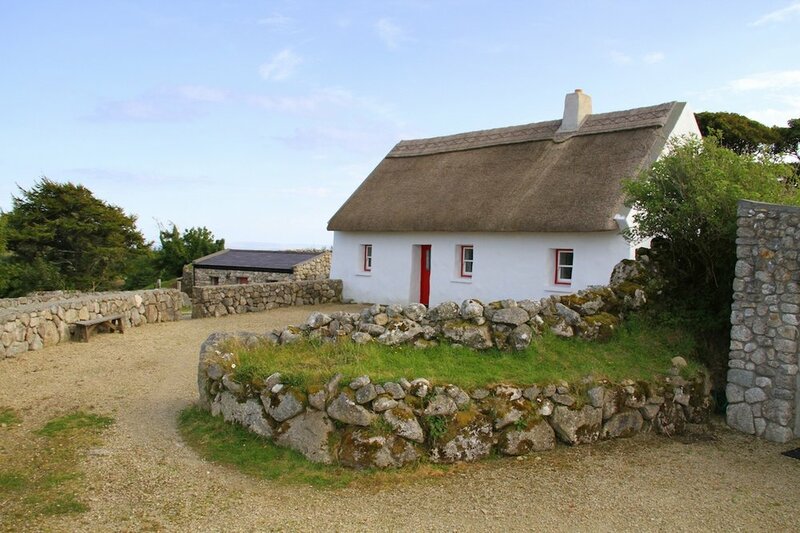 Take a visit to Cnoc Suain (restful hill) in Spiddal, a renovated small village of thatched and slated stone cottages located on 200 acres of stunningly beautiful ancient landscape, bog, lake and sea. Some of the cottages date back to 1691. As Gaelic speakers, musicians, natural scientists and owners of this historic hill village, Dearbhaill Standun and Charlie Troy are the perfect hosts for yoir group. Spend the day learning about the fascinating archaeology & natural history of the bog including turf harvesting, Listening to the history of the area and enjoying traditional Irish music. The Burren, Ireland's greatest National Park, in North County Clare. The Burren is a unique place like no other place in Ireland. There are no bogs and very few pastures, instead there are huge pavements of limestone. It is a botanist's Nirvana! Plants that would normally only grow in tundra or arctic regions flourish in this area certain times of the year. Knowth, the largest of the passage graves in the Boyne Valley complex. Knowth contains a third of the total number of examples of megalithic art in all of Western Europe; over 200 decorated stones were found during excavations. The historic ruins of Monasterboice are of an early Christian settlement in County Louth in Ireland, north of Drogheda. It was founded in the late 5th century by Saint Buithe who died around 521, and was an important centre of religion and learning. The National Museum of Ireland on Kildare Street has displays on prehistoric Ireland, including early work in gold, church treasures and objects from the Viking and medieval periods. Contact us today to start planning your Study, Academic or Alumni Group Tour.